The rooms of Mercure Istanbul Taksim Hotel make you feel the spirit of Istanbul with their modern artworks and stylish decoration. 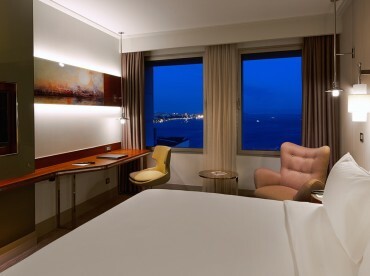 You can stay at superior room and 2 single beds which has a city view. The room includes ensuite bathroom with shower, 40″ LCD TV, mini bar, wireless Internet, tea/coffee making facilities, work desk, lap-top size safebox and hairdryer to make your stay comfortable and make you feel the city atmosphere. Mercure Istanbul Taksim Hotel offers its guests professional service and peaceful stay in a peaceful ambiance.